Slice bread into 1/4″ thick slices, arrange on baking sheet. Bake for 5 minutes, or just tops and bottoms are ever-so-slightly toasted. 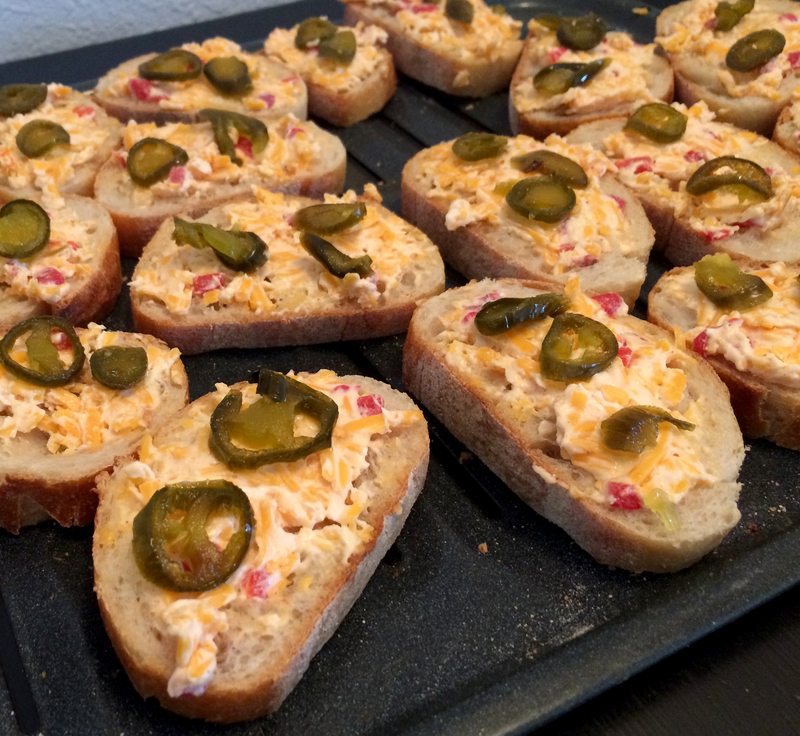 Spread a layer of pimento cheese on each slice of bread. Top each slice with 3-4 jalapeños and serve.